As the iPod’s 10-year anniversary looms next month, some are preparing to say goodbye to the popular media player credited for boosting Apple’s fortunes over the past decade. But don’t shed a tear for the iPod. Even though the line has not received any groundbreaking updates lately, the iPod lives on in Apple’s touchscreen devices. Apple sells four kinds of iPods: the tiny 2GB Shuffle for $49; the touchscreen Nano for $149; the 160GB Classic for $249; and the iPod Touch, starting at $229 for the 8GB model. The iPod is still the most popular music player on the market, but it’s not the money maker it used to be for Apple anymore -- in 2006 it brought in a whopping 50 percent of Apple revenues, while the latest 2011 figures show it accounts for 8 percent of income. The iPad and the iPhone are now Apple’s main revenue sources, and their popularity has cannibalized sales of the iPod. Adding fuel to the fire set for the iPod’s cremation, TUAW was tipped by a source that Apple will ax the iPod Shuffle and Classic this year in favor of an all-touchscreen iPod lineup. The tip makes sense: the iconic iPod Classic is the only iPod to still use a hard drive, while the rest of the line is on flash storage, and the Shuffle was always dragged down by its lack of a display. 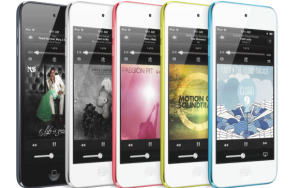 Killing the Shuffle would make the Nano the entry-level iPod, upping the starting price for an iPod from $50 to $150. However, reports of the death of the iPod Classic have proven premature in the past. 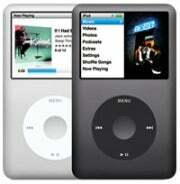 The Classic was expected to hit the curb in 2010, yet Apple did not update, nor kill the iconic iPod. Instead, it kept the same device on offer, for the same price ($249) until today. The Classic is the highest-capacity iPod, so it makes sense for Apple to still offer an affordable alternative for those with big music libraries -- the next biggest iPod is the 64GB touch, which costs $399 for the 64GB model. Even if Apple would launch a higher-capacity iPod Touch, such as 128GB, its price would still be prohibitive as an iPod Classic replacement. Meanwhile, speculation is revving up ahead of Apple’s Oct. 4 event, at which the iPhone (5) is said to be start of the show. Apple usually reserves a September event to launch new iPods, but this year, with no iPhone announced in the summer (the traditional schedule), Apple might concentrate on the iPod Touch, its best-selling iPod, with the iOS 5 software update and incremental performance updates. This story, "RIP iPod? Not So Fast" was originally published by PCWorld.